"There’s an oil for that!" I love that saying because it’s so true! Essential oils are so amazing and versatile and can be used anytime and anywhere, by anyone. But if you are new to the world of essential oils it can seem like the great wide open with tons of possibility but no real direction. I get it. I was spinning my wheels for a couple of years popping in and out of Pinterest boards looking at all the amazing things that essential oils could do but it never quite seemed applicable to ME. Honestly, there was just so much information out there that my eyes would sorta glaze over and I’d wind up giving up with a little more knowledge but nothing that practically served me, myself and I.
It’s hard because we grow up learning how to treat illnesses, disinfect for germs and be generally healthy but we are taught something entirely different than the natural way. To begin again is a big task and daunting to say the least. Add to this monumental task all the responsibilities of daily life and it’s easy to move learning this new thing to the back burner. But I assure you it’s not nearly as difficult as it seems and with a little guidance you’ll be oiling everything like a pro in no time! Trust me! To simplify things I recommend that you break it down a bit and focus either on emotional or physical wellness to start. Where are your most pressing concerns? Do they center around physical health like allergies, or trouble sleeping, or maybe staying healthy through the winter months when colds are on the rise? Or are you or someone you love struggling with stress, anxiety or fear? Are you looking for support with emotional struggles and would rather try something natural than something that could have serious side effects? 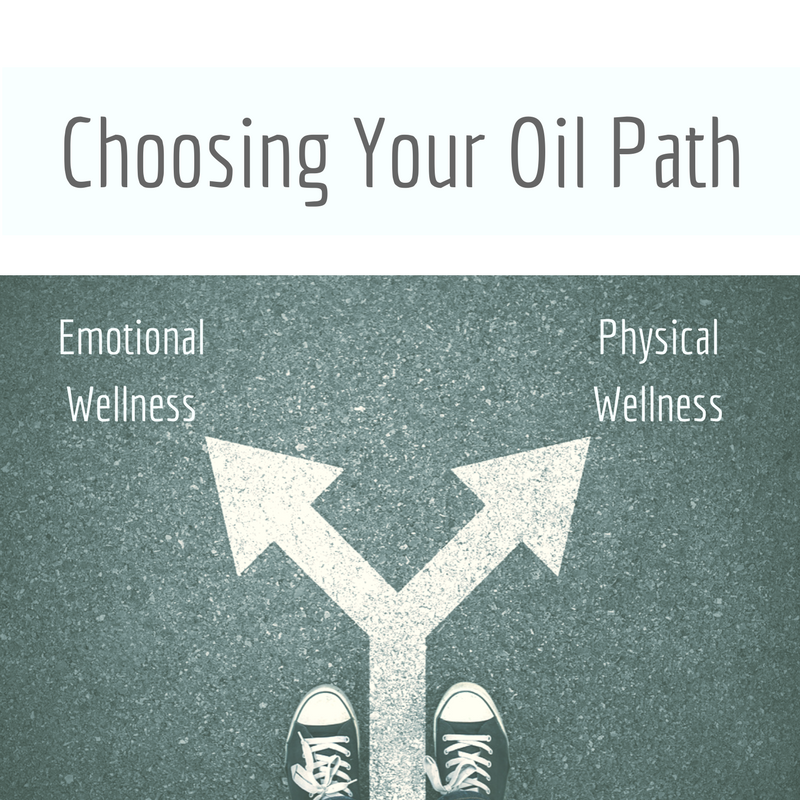 By dipping your toes in and narrowing your focus at first you can start to enjoy some natural solutions for struggles that are high on your list - but as time goes on you will continue to discover the many other things you can use the same oils for - it’s like the gift that keeps on giving! Then, once you start getting comfortable with what you have then you can start to widen the net a bit and tackle the next major concern and so on. This is a way to digest information slowly and easily and get real comfortable with using the oils in your collection more and more often. Over time you will see that you start to replace more and more of the traditional products you used to use with these healthier options and it was so easy! Not quite ready for a full kit? Talk to me - there are so many oils and so many ways to start small - contact me below and I’ll help you choose the right ones for you!